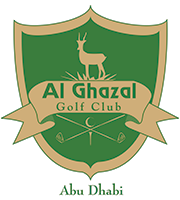 Al Ghazal Golf Club – Play around you might enjoy it. Play a round, you'll enjoy it! 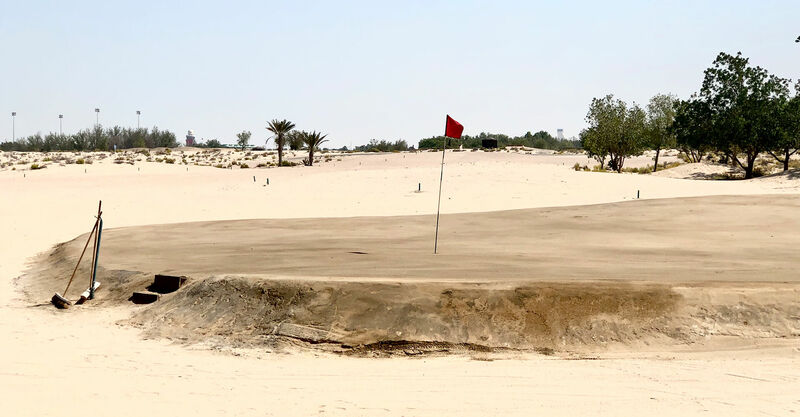 Why not be a part of the friendliest sand golf club in the UAE? We have the knowledge, technology and the commitment to make it happen. 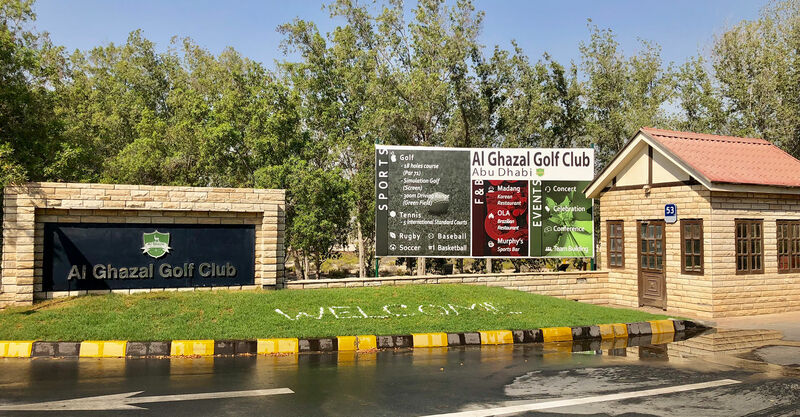 The 18 hole Al Ghazal Golf course, which opened in 1997, measures 6711 yards of the white tees, with a par 71 and presents an exciting challenge to the novice and the experienced golfer. The front nine holes (par 35) are based around an archaeological site which was once an old coastline. The back nine (par 36), which have recently been developed, present a great challenge. Be careful of the water on the 11th and 17th! As a sustainable golf course, players use a piece of artificial grass when hitting from the fairways. Instead of greens there are browns. 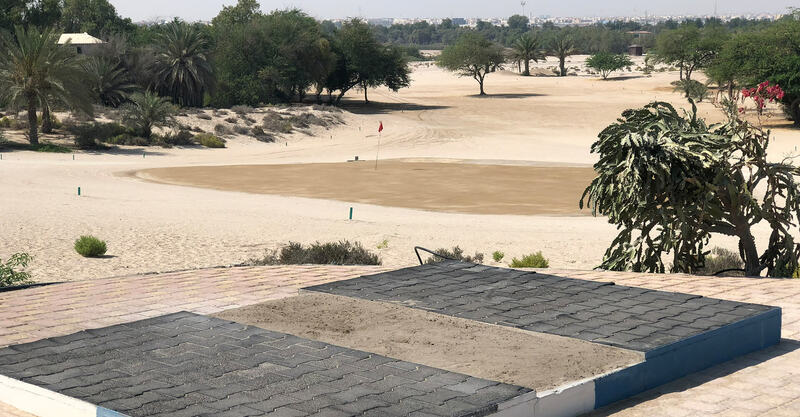 These are created by compacting rolled and treated sand and, as the players quickly discover, they give an extremely true putting surface. 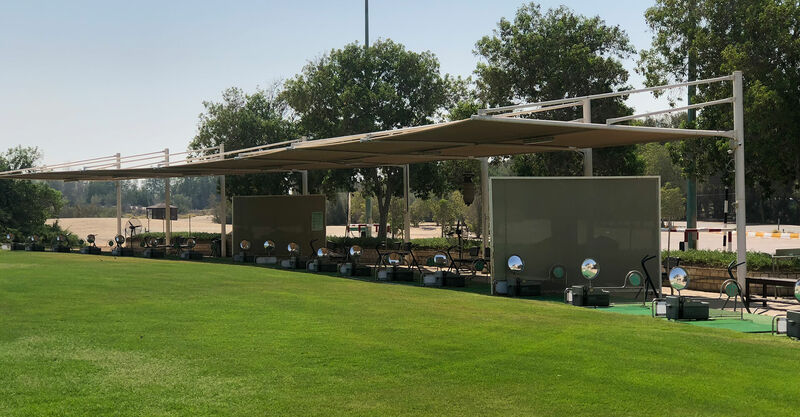 Along with our offering of a unique sand golf experience, guests will surely enjoy variety of Food and Beverage outlets mainly, Korean and Brazilian Cuisines and other exciting sports created to bring endless fun and memories. 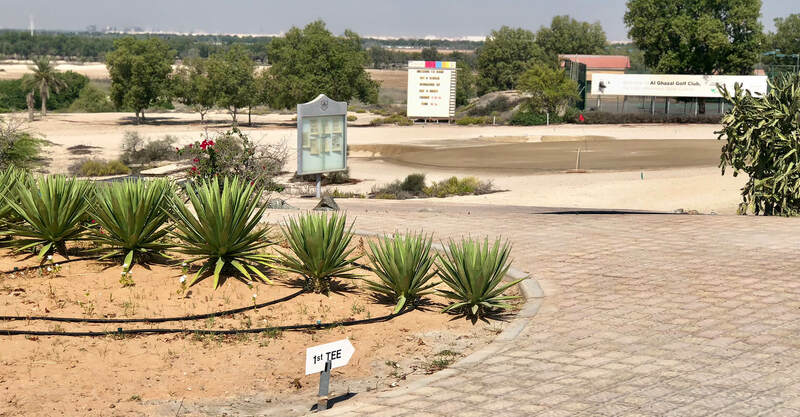 Members and guests of this club make it so special, no matter what standard of golfer joins or visit the club and other facilities, we always make sure that they feel our warmest welcome. sports facilities open to members and non-members. The pro shop offers a wide selection of golf apparel and hardware. Top brands and products are offered at exceptionally good prices.